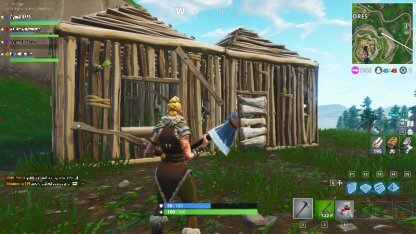 Building is the key to surviving to get that Victory Royale! 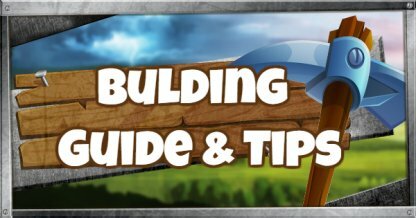 Learn the importance of building, get tips and guides on gathering, material use, & structures to craft here. 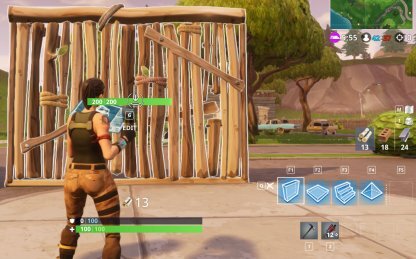 Building is a unique feature in Fortnite and provides many advantages from allowing you to access high places to throwing up a physical shield to block enemy fire. It can even save you from a fall, depending on the situation. 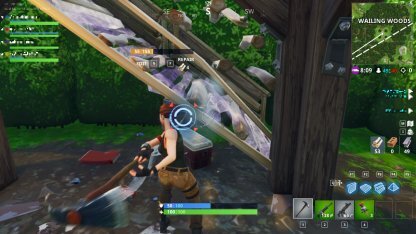 Every player starts a game holding a harvesting tool (in this case, the default pickaxe). Use this on objects (trees, buildings, cars, etc.) and building materials will be added to your inventory. 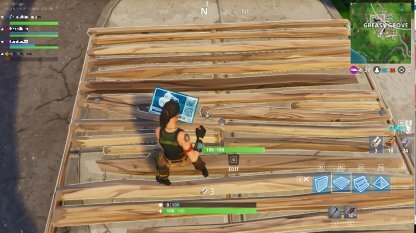 You can also pick up materials as loots that are naturally scatted on the map or dropped by enemy players after death. 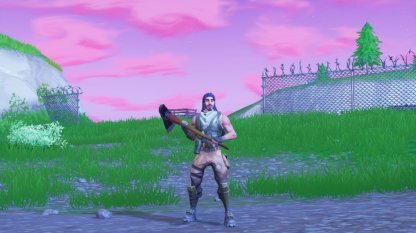 Check out Pickaxe Skin List! 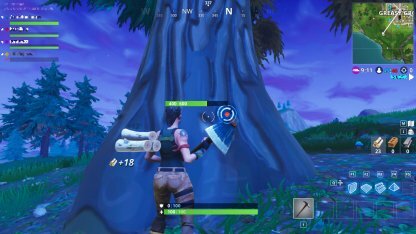 When harvesting materials, aim at the blue circle to get 2x or more materials per hit. Aiming at the blue circle also destroys it faster. Three type of materials are available in the game. 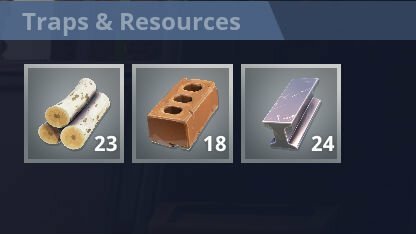 The max amount of each material you can carry is 999. Each unit you build requires 10pcs of material, regardless of which one you use to make it. Useful as a physical shield against enemy fire and as a foundation for making high towers. Floors are commonly used as a bridge or as a means to break your fall from a cliff. 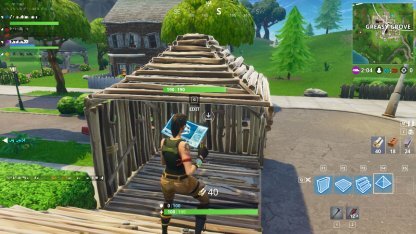 It can also be equipped with traps as well as the Launcher when you want to get to another area quickly. 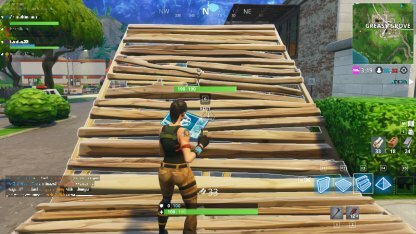 Stairs are the most commonly used building unit as it's used to climb over obstacles, reach high ground, and in creating towers. Roofs are useful to protect against attacks from above. Customize your structures as the need arises but there are limits to how you can edit your structure. The panels will turn red if the edits you want are not allowed. If you find yourself trapped inside your own structure or built a stair in the wrong direction, you don't need to destroy what you have built. Just edit! 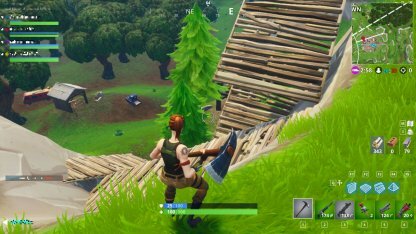 Build along the side of a mountain to get to the top. Save yourself the trouble of climbing back down by building a bridge. 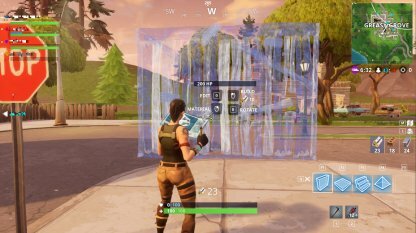 Add a window to shoot out from or add a door for a quick escape. 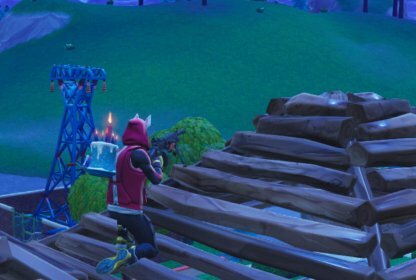 Aside from giving added protection from attacks from above, the pyramid-like structure is a strategic cover because of it's angular structure and can also be used as a vantage point when sniping enemies! 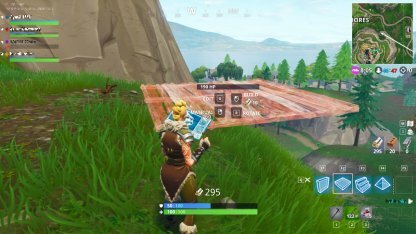 Building in Fortnite is fun, but keep these in mind to make the best of your structures. Players can destroy your structure by attacking it. Damaged structures can also be repaired as long as you have enough materials to do so. You can only build structures if they are solidly anchored. Similarly, it's possible to topple a full tower by destroying its foundation. 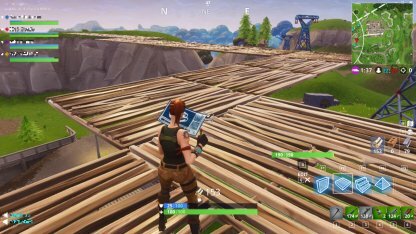 This is also an effective strategy against enemy players running on a high structure. Whoever builds faster has a higher chances of surviving. 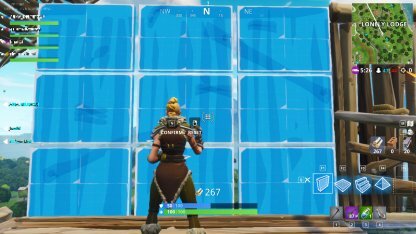 Increase your chances by customizing keybinds for faster access to building keys.